Deputy Foreign Minister Bui Thanh Son has proposed four solutions to build a vision for a responsible Asia-Europe partnership, including increasing dialogues and trust building and cooperating closely at forums to develop multilateralism to tackle security challenges. As major drivers of economic growth in the 21st century, Asia and Europe share the capacity to lead the way in implementing UN Development Goals 2030, he said. Speaking at a discussion on building a vision for comprehensive Asia-Europe partnership in the 21st century in the central province of Da Nang on November 30 on the sidelines of the Asia-Europe Foundation (ASEF) Board of Governors’ 37th Meeting, he said that the Asia-Europe Meeting (ASEM) should continue supporting equal and balanced global economic governance, and an open, transparent, inclusive and law-based trade system. ASEM should also continue playing a leading role in boosting Asia-Europe connectivity, while promoting trade and financial exchange, developing information technology, people-to-people contacts and sub-regional cooperation, and narrowing down development gaps, stated Son. He proposed the ASEF take the lead in strengthening ASEM’s efforts in forging a stronger Asia-Europe partnership. Emerging challenges and opportunities require the ASEM to improve collaboration to affirm its central role in shaping development, contributing to developing effective, equal and democratic global governance. The Deputy FM affirmed that Vietnam will continue working closely with ASEM partners in building a vision for ASEM forum with more responsibility and adaptability. 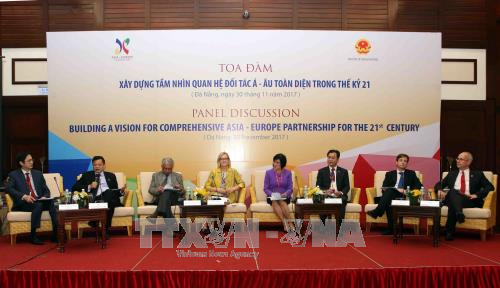 Addressing the event, Ambassador Nguyen Nguyet Nga, Vietnamese Governor at the ASEF, noted that during the 13th ASEM Foreign Ministers’ Meeting in November, ministers proposed specific measures to boost the Asia-Europe partnership. She said that it is high time for the ASEM to develop cooperation, improve its image and boost the effectiveness of both ASEM and ASEF’s operations. 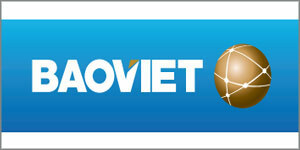 The discussion was a Vietnamese initiative on the occasion of the 20th founding anniversary of the ASEF.